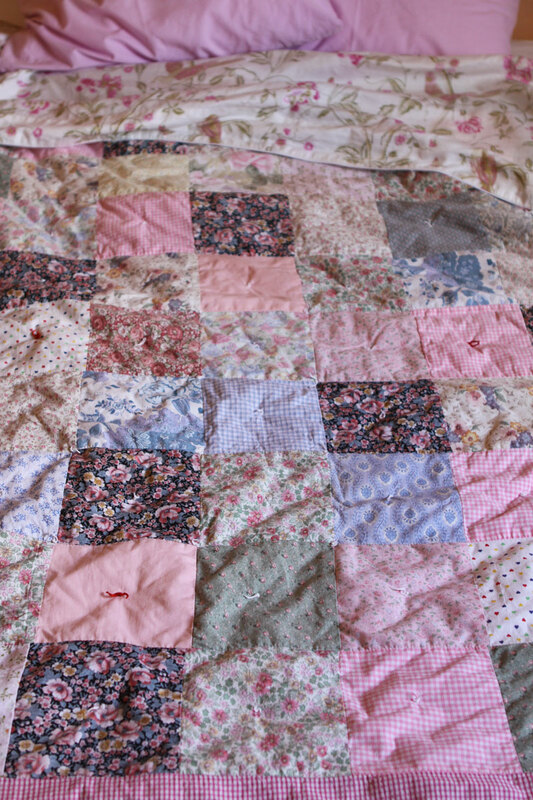 This is one of the first quilts I did, with pieces of fabrics offered by my quilting friends. At that time, about 20 years ago, I had very few fabrics, found with great difficulties! I just cut squares and machine sewed them together almost random. Then I hand tied the three layers with knots. It was quickly done! 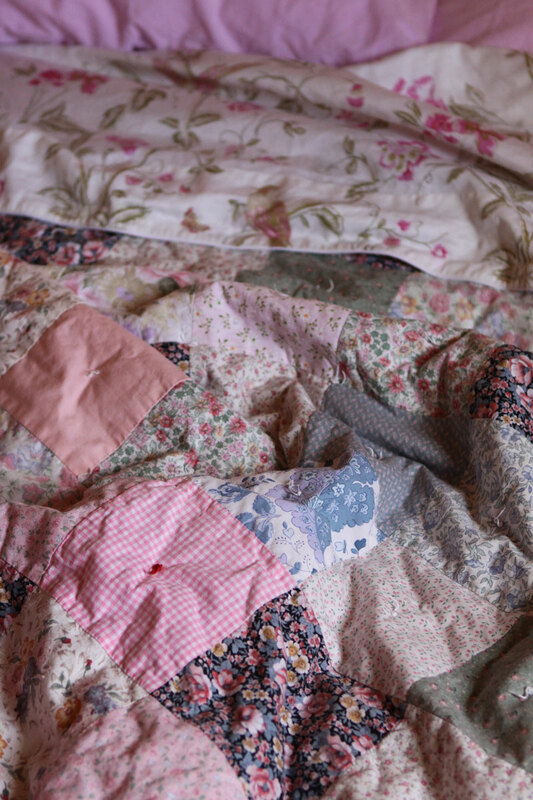 Though I never considered this quilt as "beautiful" it remained dear to my heart because the fabrics were offered to me by friends, and because I enjoyed sewing it naively, without too much wondering about the result. As a matter of fact, it was of great use, washed and rewashed again many times with no fear, and is still on my bed after all those years! It's beautiful. It's perfect. "My" colours and desings. I love your quilt with tied knots. The colors are so lovely. And it looks beautiful along with all the other bedding. It would be a most cherished quilt! Love this quilt. It's exactly what I think of when quilting is mentioned. Simple, soft, comfortable looking. 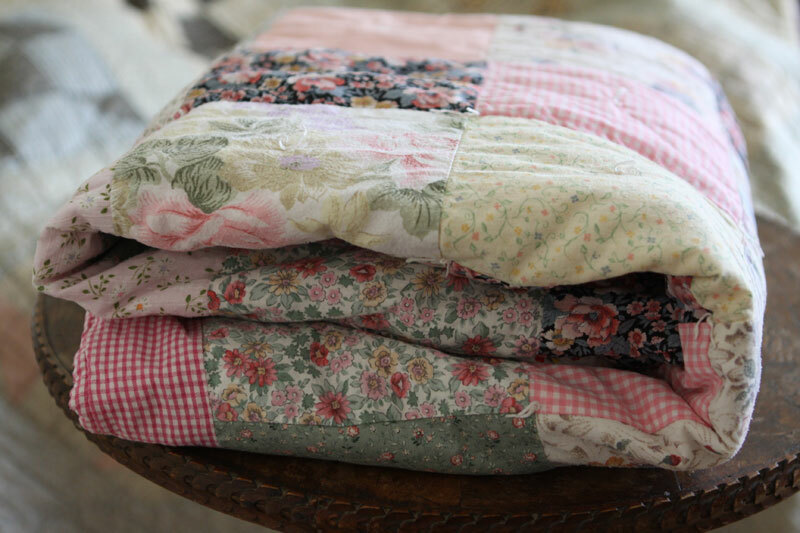 I LOVE this quilt...reminds me of the quilts my mother use to make! This is a keeper to CHERISH!! Parfois les quilts réalisés spontanement et simplement sont les plus beaux ! 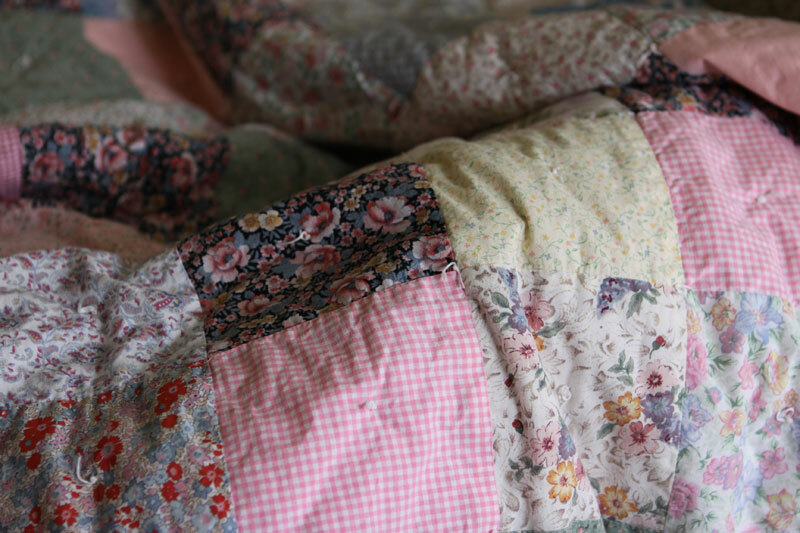 I love tied quilts! There is something so cuddly about them. And it's easy and quick to do. 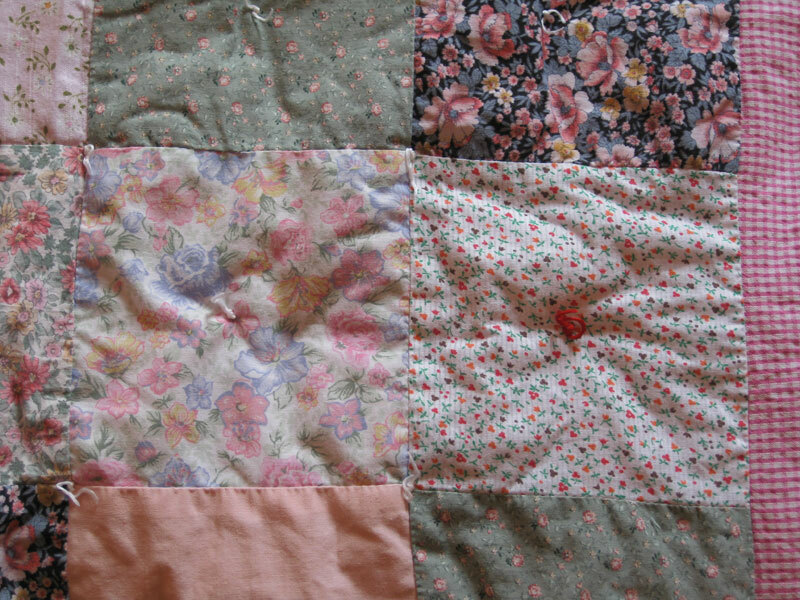 I still love my first quilt too. This one looks so soft and comforting. 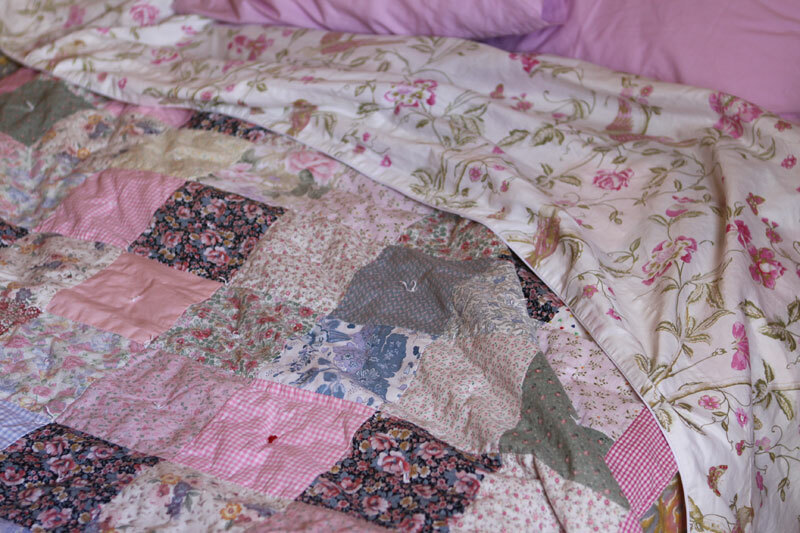 A technically perfect quilt isn't always as inviting as one made with love and comfort in mind. Oh, so soft and romantic. I can see why it's still on your bed! Charming. Beautiful quilt! Love these colors, and the tying! I think your 'Quilt With Knots' looks lovely!. So soft and cuddly! An old friend is always beautiful! I love looking at all the fabric Christine! Very pretty and romantic! It's very pretty....and holding up well. A beautiful quilt. I love quilting. 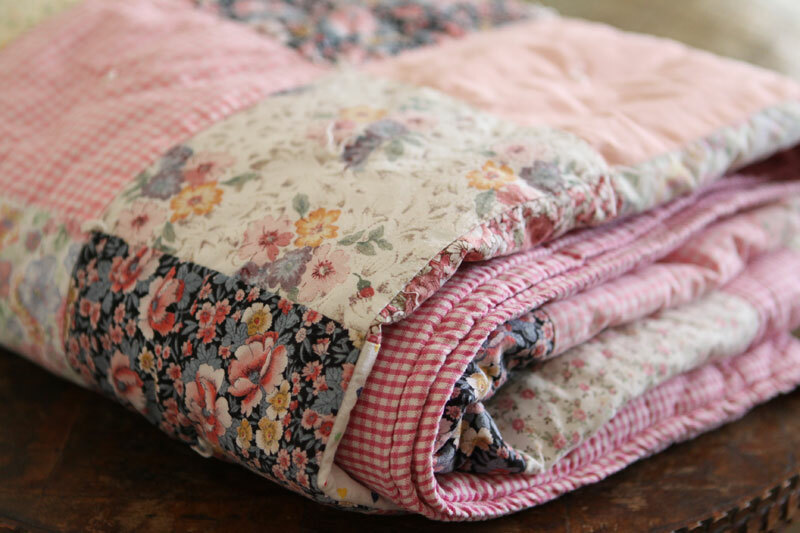 Such a pretty quilt, sometimes simple is best! I just always love your soft, color choices!!! You must need sunglasses when you visit my blog! LOL!! I love this beautiful quilt. 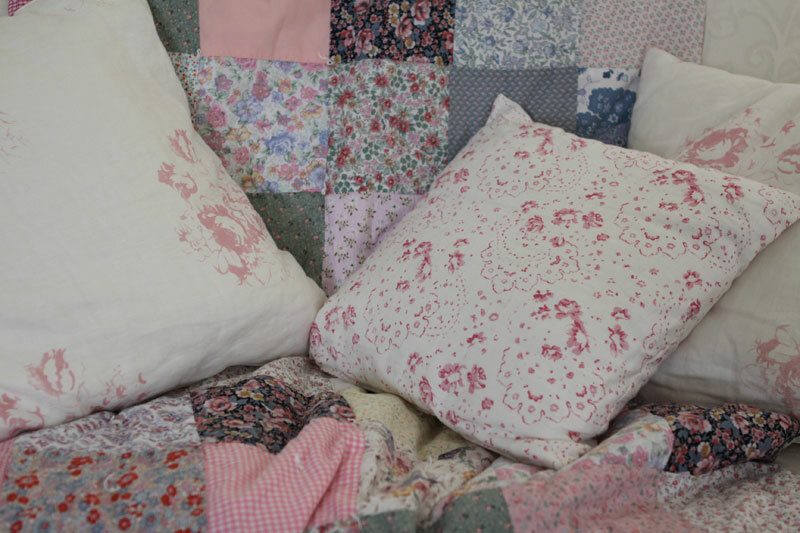 Having fabrics included by friends makes a quilt even more special.